The History Learning Site, C N Trueman, 6 Mar 2015. 16 Aug 2016. The Nuremberg War Crime Trials were held between 1945 to 1949. However, the most famous trials at Nuremberg were those of the major war criminals and these were held from November 20th, 1945 to October 1st, 1946. 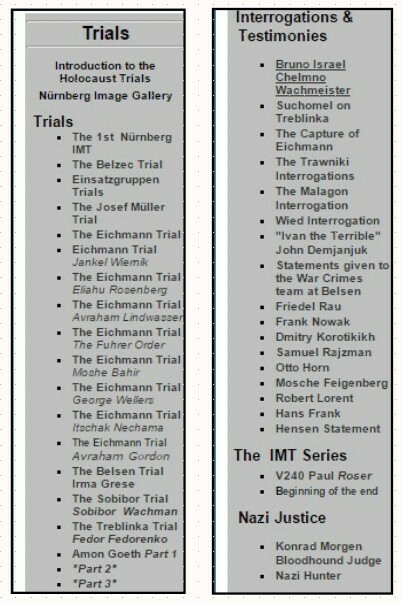 The trials at Nuremberg held after these dates were for the so-called lesser war criminals. As the war reached its end in 1945, the Allies had become aware of appalling atrocities that had taken place in Eastern Europe – what was later called the Holocaust. The outrage caused by these appalling discoveries led to a clamour amongst the Allies that those responsible should be brought to account along with those in the Nazi hierarchy who had waged war in general. After initial disagreements with regards to how the Allies should punish those responsible for war crimes,President Truman gave his full support for a judicial process whereby those arrested would stand trial in public for the allegations made against them. Those men on trial would be given the opportunity to defend themselves. The legal basis for the trial was established by the ‘London Charter’ which was issued on August 8th, 1945. This charter restricted the first trials to major war criminals from the Axis nations only. Therefore, allegations of Allied war crimes could not be heard. The court could only hear allegations of war crimes from September 1st, 1939 on. The legal jurisdiction of the court came from the ‘Instrument of Surrender of Germany’ which had transferred political authority over Germany to the Allied Control Council which was given sovereign power over Germany. The city of Nuremberg was chosen for the trials of the ‘major war criminals’. Nuremberg had witnessed the infamous Nazi Party rallies and by holding the trials there, it would emphasise the party’s end. Also the large Palace of Justice had been largely undamaged by Allied bombing and it contained a large prison within its complex. 1) Participation in a common plan or conspiracy for the accomplishment of crime against peace. More than 70 years later, the prosecution of a 94-year-old former SS guard renewed questions of how to assign blame for the Holocaust. 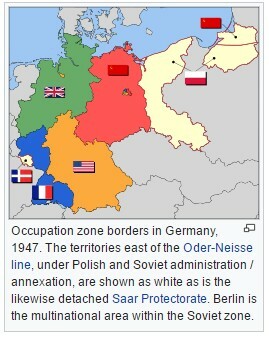 The map shows how Germany was divided occupation zones at the end of WW2. In 1949 it was unified, excluding the Russian zone and known as East Germany, into the Federal Republic of Germany. They were combined n 1990. So, the end of WW2 saw the need to decide under who’s law could Germans accused of war crimes be charged. Commander of the Luftwaffe and various departments in the SS. Committed suicide just before his execution. Nazi Germany’s Minister of Foreign Affairs. ………. Nazi racial ideologist and Protector of the eastern Occupied Territories. Pre-war president of the Reichsback. Not charged with Indictments 3 and 4.